I love a good murder mystery, yet when my friend at university came rushing into our seminar brandishing a shiny new copy of The Seven Deaths of Evelyn Hardcastle and telling us that we all had to read it, I wasn’t sure at first, as the concept sounded really quite bizarre. In a nutshell, the protagonist wakes up in the body of someone else, not remembering who he is, where he is, or why he’s there. Gradually he learns that he has been sent to a house party to solve the mystery of who murders the attractive daughter of the house, Evelyn, that night at 11pm. If he doesn’t solve the murder, he will wake up the next day in the body of another of the house party guests and live through all the events of the day again, but from their perspective. The day will keep repeating, and he will keep waking up in a different body, until the crime is solved. He has eight days; if he fails to solve the murder in that time, the whole process will start all over again. I was worried that it was going to be a lot of clever plotting that hid a lack of any substance, and that I wasn’t going to be able to suspend my disbelief enough to allow me to get into it. However, as soon as I started reading, it was very clear I wasn’t going to be leaving the house until I’d finished. It really is that good. The book is so full of twists, turns, shocks and revelations that I couldn’t possibly hope to summarise it properly, and I don’t want to say too much for fear of ruining things. 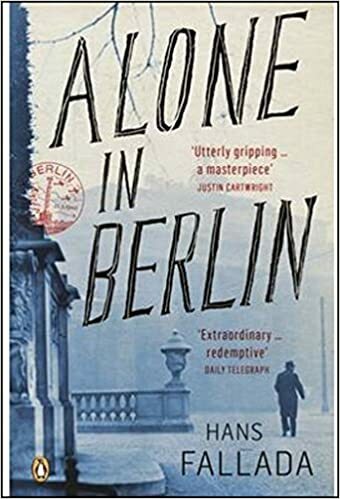 Suffice to say, this is an absolutely fantastic, clever, gripping and utterly addictive book that I literally couldn’t put down. I stayed up half the night to finish it, and was rapt right up until the end. It’s very easy to forget that you’re in some sort of strange Groundhog Day alternate universe, for the world he creates is so convincing that you lose yourself in it immediately. The setting of the decaying 1920s mansion and the cast of fascinating characters who Adrien separately embodies are all vividly brought to life, and the intriguing mysteries both of who wants Evelyn dead, what really happened to her brother ten years before, and of who Adrien really is and why he is there, kept me on high alert throughout, constantly trying to work out the answers, which are revealed in a breathtaking series of brilliant revelations as the book speeds towards its end. I can’t even begin to imagine how Stuart Turton worked out such a myriad of competing plot lines – it’s a work of pure genius. I loved every single moment and I know, once my memory of it has faded, that I’ll love going back to see if I can unpick the clues earlier on a second reading. I can’t recommended this highly enough – rush out and get a copy now! You’re right. It sounds ridiculous! Must order immediately! Starting to wonder if something is wrong with me – I’m reading this now and have been so disappointed. Holding on hoping that it gets better, but I think I’m the only person who hasn’t absolutely loved it! I can’t remember the last time I wanted to read something so much that I was willing to pay for a hardcover. You have made it happen — now I really want this as a Mother’s Day gift but don’t know if I can wait that long to read it! Of my goodness! I have just finished The Seven Deaths of Evelyn Hardcastle and could not agree with you more. I approached it with reservations but as soon as I read the first couple of pages I was riveted. Stuart Turton has created such a vivid, compelling novel that pulls you into a country house mystery that couldn’t be less cosy or more innovative. Loved it!! I’m thrilled to hear how much you loved this! I have an eARC waiting to be read, but I’ve been a bit worried it would be an example of a book with a brilliant premise but a rather lackluster execution. I’m much more excited about it now! I bought my copy from Waterstones yesterday . Cannot wait to start it. It’s sounds very quirky and intriguing. That you for the recommendation. I enjoyed it too, though it was quite a challenging read. Gah! Must stop reading British book news. This, along with The Mermaid and Mrs. Hancock, will not show up here in the US until autumn. The wait for such books is agony. Why do publishers put us through it? On the plus side, I will have forgotten all of the plot details from this post. Curiously I believe the US title of this book is The 7 1/2 Deaths of Evelyn Hardcastle. Pingback: Another List? – "You Might as Well Read"